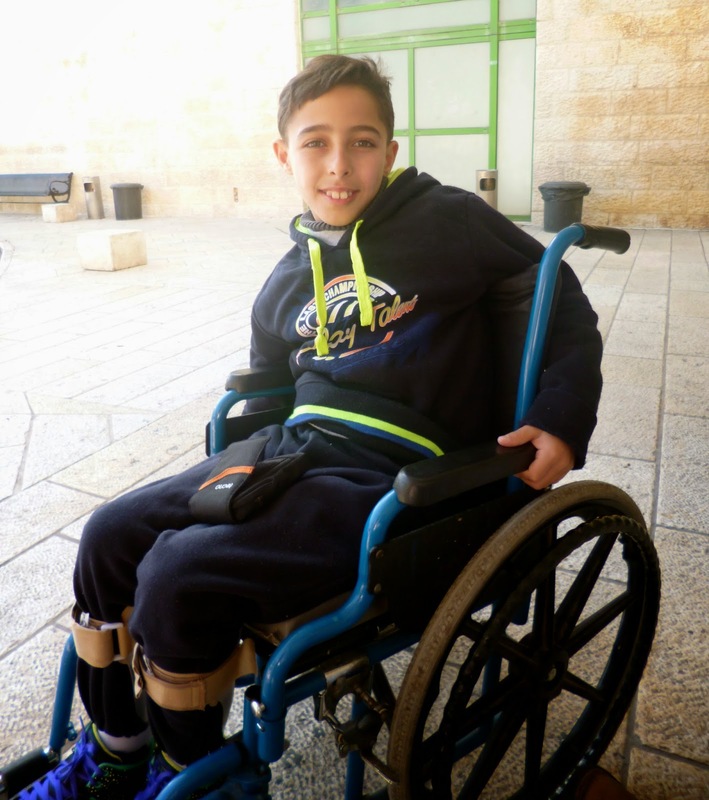 Last week we were visiting the children at the Arab Society Rehabilitation Hospital in Beit Jala. 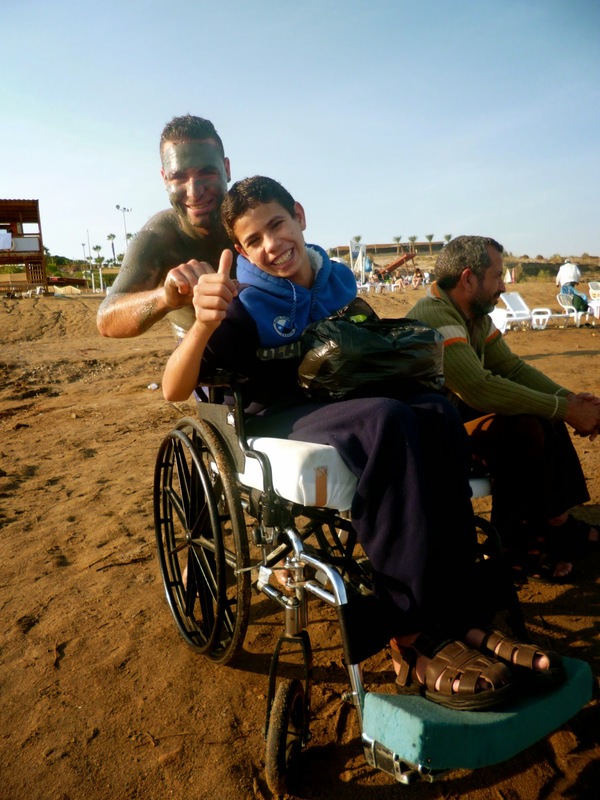 The children, so severely injured during the conflict in Gaza, were fascinated by pictures of the Dead Sea on my computer. So, today, we took them to see the real thing, the Dead Sea, Jericho and the cable car to the Mount of Temptation. I don’t think that there was a moment today when the children weren’t smiling or laughing. 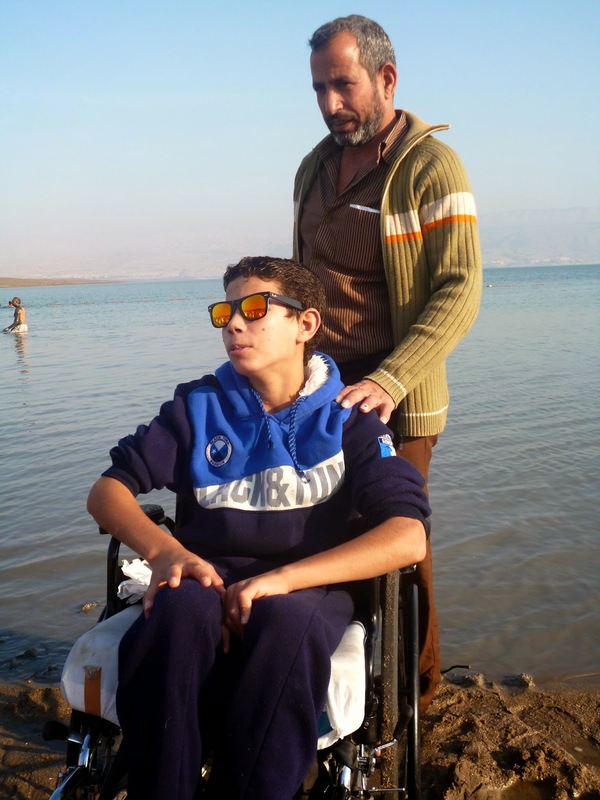 Being lifted out of his wheelchair on the shoreline and being gently dipped into the water by his uncle, Ayman beamed with happiness. Just being with his father in such a beautiful place, Salameh looked so happy and contented. After Shawermeh and Falafels in Jericho we went up the cable car to the Mount of Temptation. Singing, laughing and mock fear when the cable car shook ended a great day. Free from hospital for one day! So many thanks to all, the medical staff at the hospital, Myrna, the social worker, Mahmoud, a nurse and advisor to ACIC and Bashar from Bethlehem who joined us to help so wonderfully.